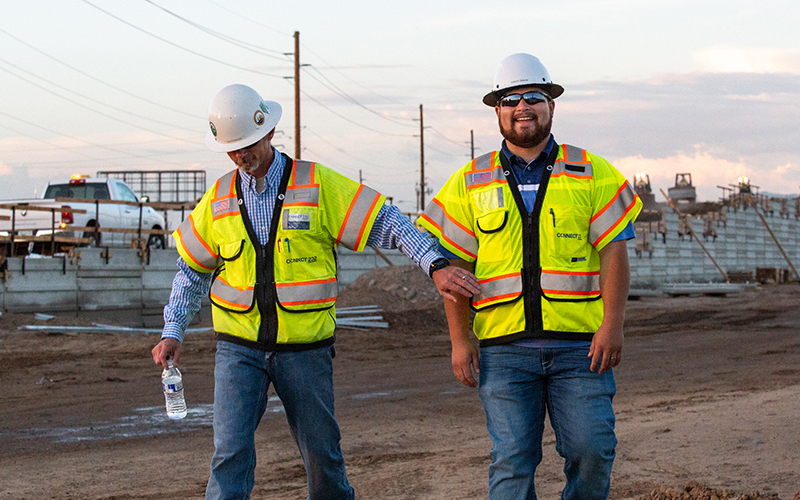 PHOENIX – The Arizona Department of Transportation is pushing ahead on construction of the South Mountain Freeway, even through 115-degree temperatures, by ensuring its workers remain safe and hydrated. The long-envisioned project, which began in early 2017, is meant to cut congestion and drive times in central Phoenix by diverting traffic off Interstate 10 onto a 22-mile route south of South Mountain. ADOT officials predict it will shave an hour off travel times when the freeway is finished late next year. 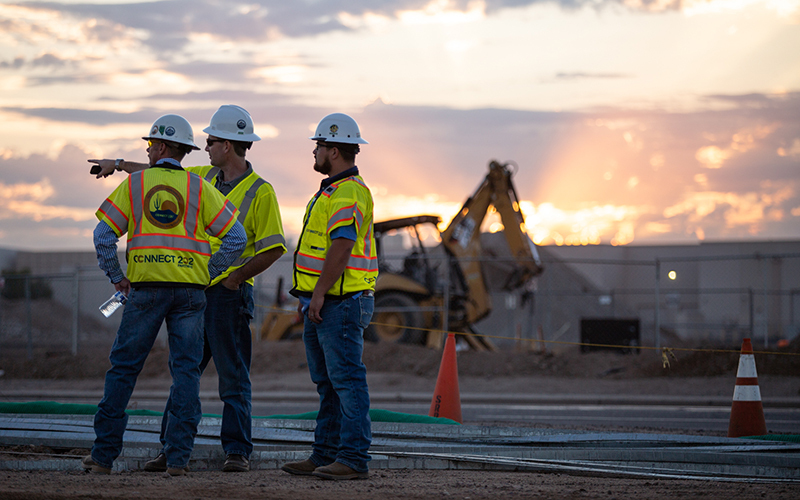 However, ADOT’s primary focus during the harsh summer is keeping its 1,500 workers safe while continuing the multimillion dollar extension of Loop 202 around South Mountain. “ADOT, its employees and contractors have to be diligent in monitoring for signs of heat-illness and use common sense,” said Julie Gadsby, assistant district engineer on the South Mountain Freeway team. Officials said all workers are thoroughly trained to recognize the symptoms of heat-related illnesses and how to prevent or treat them. They also are required to use a buddy system so they can look for these signs in fellow workers. ADOT also provides hard-hat shades, cooling towels and neck shades, and it keeps awnings and air-conditioned vehicles on hand when possible. In addition, workers are given electrolyte packets. 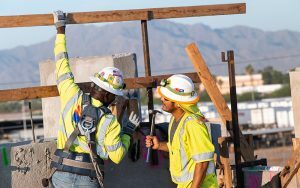 Construction workers face many on-job hazards, said David Stanford, safety manager at one of the construction sites for the South Mountain Freeway, but combating heat-illness is the one employees are warned about most. Employees begin their shifts much earlier, often before the break of dawn, to avoid prolonged periods outdoors. ADOT spokesman Dustin Krugel said all these precautions are necessary. 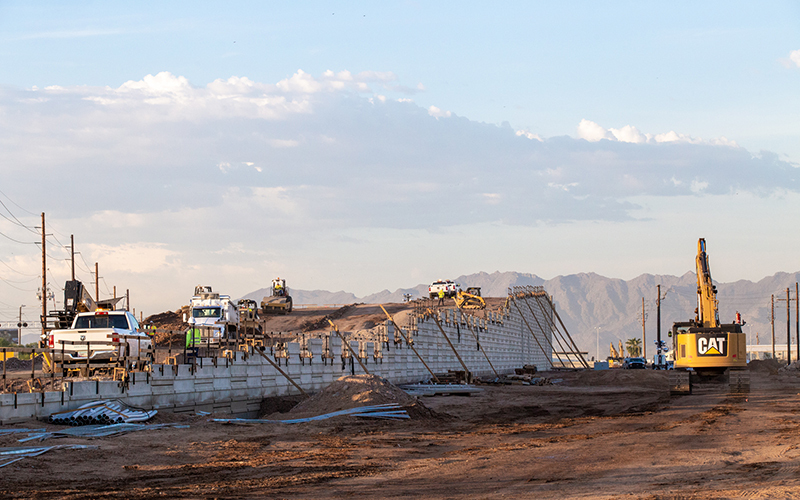 The South Mountain Freeway will link to Interstate 10 at 51st Avenue in the West valley, wrap around South Mountain and reconnect to I-10 at Loop 202 in the East Valley. “It’s really going to help relieve some of the traffic that you see in the Valley,” Krugel said, adding that it also should boost businesses in the fast-growing area. More information and an up-to-date map of the freeway can be found here.